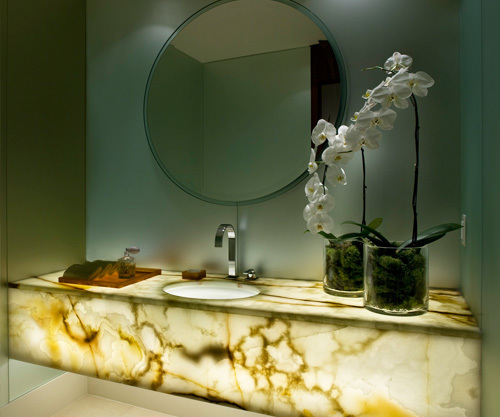 A beautiful bathroom design at a client project featuring a back lit onyx vanity with acid etched glass walls. We won FIRST place for 'Best Residential Design' for this home. See more of the completed project here. Please visit our Facebook and Houzz page to see more projects. Thanks Small Bathrooms....I am glad you like it. I love it! It definitely looks luxurious - love the backlighting in it. Ohh... what a great Onyx bathroom design. Its look very different from others bathroom. I loving your ideas and specially this post. Thanks for sharing.